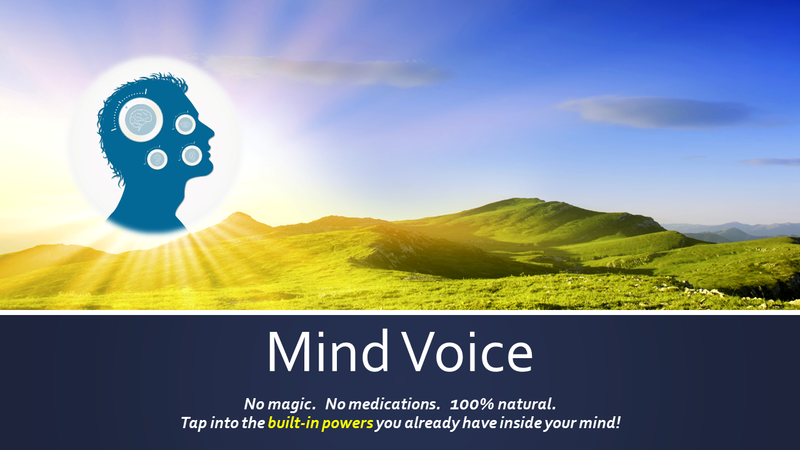 At the core of the professional guidance / coaching / mentoring that I provide to individuals like you is what I call mind voice—a proven way to change your life so you become happier and more successful. At the core of the professional guidance / coaching / mentoring I provide is this mind voice process rooted in real life that is completely natural. You easily can find other valid descriptions of this mental process elsewhere. When you use these built-in powers (as successful people do) which are already there inside your mind, you can gain access to a happier and more successful without medication or magic.